There are great advances and discoveries made by women, such as radioactive chemical elements, cryptography, WiFi, and kevlar, but we can be sure that none of them had it easy. In some cases, they not only had to face the obvious inequality between men and women but also racism. 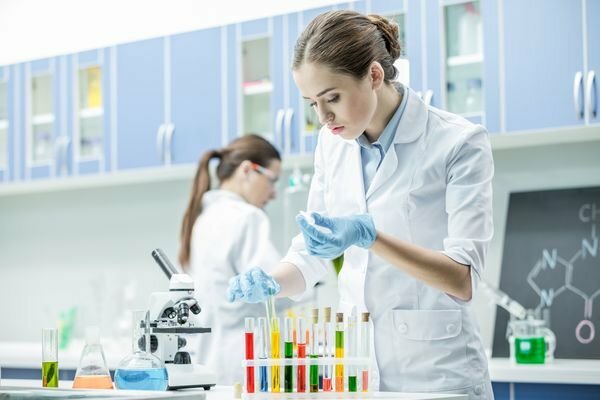 In access to science, and therefore to technology, women have had it much more difficult than men and in some cases that access has been almost impossible. In the XXI century, although in some European countries there has been a lot of progress, with the figures in hand we can affirm that there is still a lot to be done in that incorporation of women into the world of science and technology. Spain is no exception. Only 18% of jobs in the technology sector are occupied by women, a reflection of their still minority access to technical-technological careers in universities. In fact, the percentage of women graduates in technical careers barely reaches 24% in Spain. In Europe, the data is very similar. The European Commission indicated in 2015 that around 1.4 million people were studying in the European Union in some area related to Information and Communication Technologies (ICT). Only 17% of those students were women. Even in the United States, there has been a decline in women’s access to technical careers. The National Center for Women & Information Technology (NCWIT), which brings together almost 900 universities, companies, NGOs and US government organizations, published its study ‘Women in Tech: The Facts’ in 2016, with revealing data. It is significant that women occupy 57% of jobs in all professional fields, but in sectors related to computer science, those figures are reduced to 25%. And the situation is not improving. Since 1991, a maximum percentage of 36% of women in computer sectors was reached, these data have fallen steadily in recent decades. I will not go into what are the causes of this happening, since there are many studies, and very serious, about the origin of this inequality in the figures. What would I like to put on the table is some questions: How much talent is being lost? How many women like Marie Curie have we lost? If 50% of the world population is women, why do we give up that 50% talent? Humanity is composed of men and women, and their development should be a consequence of both. Women, fortunately, in many important facets are different from men, and their vision, focus, priorities, and approaches make them see the world from points of view that a man would never imagine. This confluence does nothing but enriches all aspects of creative development. It should be promoted, not only from the public authorities, that in some (and few) cases it is already being done, but also from our own homes, from education and the inculcation of values to the new generations. As the slogan that made the Catholic Kings famous, “so many mounts, mount both, Isabel and Fernando.” In science and technology, men and women should be able to contribute on an equal footing everything they carry within to contribute to the scientific and technological development of humanity. I write from a city where an extraordinary woman armed with courage, named María Mayor Fernández de Cámara and Pita, expelled with horrendous boxes a horde of English pirates, back in the sixteenth century. It is to that spirit and courage that I appeal so that men and women do not give up that 50% of talent and incorporate it into our society as soon as possible. The technology in the coming years must and must be written largely with the name of a woman, and thus recover time and talent lost. Spain has a great job ahead in the coming years in terms of equality, but we can not imagine all that remains to be done in other cultures outside Europe, where it will take a century to change beliefs and customs.